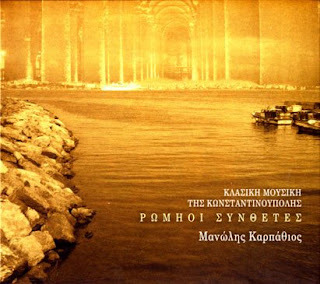 Title: Giorgos Bacanos-Γιώργος Μπατζανός (1900-1977) "To proto outi tis anatolis"
Arnoukoi, Constantinople 1882 - Athens 1945. He started from the age of 16 playing oud in Constantinople, and at 18 he was already an established singer, singing in the cafe aman and the panigiria of the City. The nick name "Dalgkas" was issued for his excellent voice, and which he remained known. In 1922 he came to Greece, worked with many musical forms, in which he sang amanedes, songs of Asia Minor, rebetika, European, light, traditional, and as a musician he played the oud and the nine chord guitar. In 1926 he made his first recording with the “Minore mane” . He has recorded more than 430 titles, of which 89 amanedes, and has written 78 of his own compositions. Since 1934, he dealt with highly paid performances in a tavern in Koukaki Athens, leaving aside the recordings, while the last he made where in the late'30s. With the entry of the Germans in Athens in 1941 he stopped the performances and in 1945 he died. Αρνούκοϊ, Κωνσταντινούπολη 1882 - Αθήνα 1945. Άρχισε από ηλικία 16 ετών να παίζει ούτι στη Πόλη, και στα 18 του έγινε ήδη καθιερωμένος τραγουδιστής, τραγουδώντας στα καφέ αμάν και τα πανηγύρια της Πόλης. Το προσωνύμιο "Νταλγκάς" του δόθηκε για την εξαιρετική του φωνή και με το οποίο παρέμεινε γνωστός. Το 1922 ήρθε στην Ελλάδα, συνεργάστηκε με πολλά μουσικά σχήματα, στα οποία τραγουδούσε αμανέδες, μικρασιάτικα, ρεμπέτικα, ευρωπαϊκά, ελαφρά, δημοτικά, και ως μουσικός έπαιζε ούτι και εννιάχορδη κιθάρα. Το 1926 ηχογραφεί το πρώτο του δίσκο με το "Μινόρε μανέ". Έχει ηχογραφήσει περισσότερα από 430 τραγούδια, από τα οποία είναι 89 αμανέδες ενώ έχει γράψει 78 δικές του συνθέσεις. Από το 1934, ασχολήθηκε περισσότερο με υψηλής αμοιβής εμφανίσεις, σε ταβέρνα στο Κουκάκι αφήνοντας κατά μέρος τις ηχογραφήσεις, ενώ τις τελευταίες του τις πραγματοποίησε κατά τα τέλη του '30. Με την είσοδο των Γερμανών στην Αθήνα το 1941 σταμάτησε τις εμφανίσεις του και το 1945 απεβίωσε. 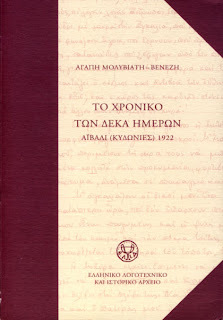 Description: The personal testimony of Agapi Molyviati - Venezi the sister of the author, Ilias Venezis, about the 10 days she lived at the arrival of the Turkish army at Ayvali in 1922, witnessing all the incidents. And the exceptional, Turkish officer Kemalletin, who rescued her. Comments: A painful book, that should be read both by Greek and Turks, to understand the darkness of the war, and the small light in the gap, enough for the next generation to follow. I do not know whether to pray or protest loud, whether to stay loyal to that taught or deny everything ... Why do humans have so much hate to humans? Έκλεινα τα αυτιά μου να μην ακούω, να μην ακούω φωνές. Μα αυτές δε βρίσκονταν πια εκεί. Είχαν εισχωρήσει βαθιά. Zeybek melodies, which come from the western part of Turkey, are significant elements in the Turkish folk music repertoire of that region. 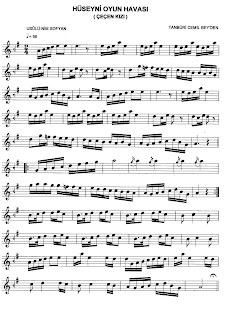 These melodies are mainly played on a combination of davul (drum) and kaba zurna (shawm) instruments, especially by musicians in the Aydin-Germencik and Mugla-Milas areas in that region. In an urban environment, performers of zeybek music recreate an idealisation of a regional repertoire which was, and still may be, transmitted orally from master to student or from father to son. But today the medium for transmission can vary. In this paper, specifically oral transmission techniques, and their effects on the regional melodic and rhythmic configurations, tonal systems, pitch deviations and ornamental devices of zeybek music in zurna playing will be examined. As known, zeybeks appears as an interesting identity which academics have offered different opinions concerning their origins and the etymology of their names and which has maintained its existence having their own culture. We do know that zeybeks found an environment for living throughout the West Anatolia due to lack of authority and other similar reasons in the period when the Ottoman Empire was beginning to falter in administrative, political, economic and social terms as from the 16th century and especially through the 18th and 19th centuries. Zeybeks had a considerable effect on the society in the West Anatolia starting especially in particular from the 19th century onwards, and established the present of the music, dance and costume traditions of the Aegean. Having completed its mission after the foundation of the Republic of Turkey, the zeybek identity disappeared, but zeybek songs and dances, the products of a culture survived for hundreds of years, prevail and are still performed at almost every opportunity. Many of the dances are of individual and solo1 nature; and largely improvised. There are exceptions but the majority are slow and asymmetrical in rhythmic structure2. As in other traditonal Turkish folk music tunes, makam-based aspects must be taken into account in the Zeybek melodies. Within zeybek melodies found in West Anatolia it can be seen that a pitch range of more than an octave is used and Rast (G), Dügah (A) and Segah (B) pitches are frequently used as tonic related to their makam structure. The melodies are usually constructed using adjacent notes. Rhythmical patterns of 3+2+2+2, 2+2+2+3 and 2+2+3+2 constituting an overall 9 beat pattern, are the norm. In slow zeybeks (ağır zeybek), while the 3 group is usually found to be at the beginning of the cycle, as the tempo gets faster the 3 group gravitates to the end. In the slow zeybeks the vocal accompaniment is rare, a delayed (ritardando) performance appears during the dance accompaniment3. In contrast to the slower male zeybek dances, a quicker, softer style is used in women’s zeybek dances in 3+2+2+2 format4. When lyrics are used for these dances they tend to be compliments to - but regret for the absence of - the beloved. The melancholic nature of these songs stands would appear to be in conflict with the jauntiness of the melodies and rhythms used. However, folk music fulfils a recreational function, and sad lyrics coupled with jolly rhythms is just part of the complexity of the tradition, and is tied in with general expectations of form5. In West Anatolia zeybek dances performed in public are more often accompanied by musicians playing the zurna (a loud, penetrating relative of the oboe) and davul, a double-sided drum (but since the start of the 20th century instruments such as the clarinet and even the trumpet are beginning to replace the zurna in some regions). Elsewhere the bağlama (lute), kaval, kabak kemane and ince çalgı ensembles which consist of oud (ud), the Western violin (keman) and hand drum (darbuka) are in evidence. It is seen that especially in the Aydın area in Aydın-Germencik, Aydın-İncirliova-Acarlar, Aydın-Koçarlı-Şenköy and Aydın-Umurlu-Kocagür; in the Muğla area in Muğla-Milas-Selimiye and Muğla-Milas-Dibekdere kaba zurna bands (teams) make their livings by music. These musicians play especially in wedding ceremonies (only in bridegroom’s house) and other activities such as folk dances, camel wrestlings, various celebrations and festivals etc. Altough it is said that the name of zurna6 comes from the Persian words sur and nay, there are ideas about that the word comes from Arabic and Turkish origin. Kaba zurna which has about two octave sound , is 55 cm in length and it is the longest instrument of zurna family. It has 7-8 mm diametered 8 melody holes, 7 of which are on the front part and one of them is on the back part. 3 of these front holes are closed with 1st, 2nd and 3rd fingers of right hand and hole on the back is closed with right thumb, so the 4th finger is not used thus the other 4 holes are closed with 1st, 2nd, 3rd and 4th fingers of left hand, left thumb is used to hold and balance the zurna. The performers that use their hands reversely are said to be left-handed. (Personal interviews: Sadettin Doğan, 1997; Basri Eğriboyun, 1997; Doğan Zentur, 1997; Hasan Akay, 1996; Veli Akay, 1997; Dursun Külahlı, 1997; Dursun Girgin, 1998; Turgut Boncuk, 1990, Hasan Girgin, 2003). The part which extends like funnel shape from where melody holes finish is called as kalpak, and also there are 5-6 mm diametered 7 holes called as devil holes (cin deliği) in 3 lines (3 in the upper, 1 in the middle and 3 in the lower part of the kalpak) which are filled with wax, paper or similar materials for tuning on kalpak (Dursun Külahlı, personal interview, 2007). There is a part called fasla or başlık which goes through the body and attaches the body and the reed (kamış) in the part that zurna blown. The reed is attached to a thin pipe called lüle. Also for making breath reversing technique easier a round shape piece called ağızlık is attached over lüle. The sound of the reed comes out from the vibration of opening and closing of an outer hole which has been formed into an ellips by crunching a tiny cylinder (Personal interviews: Basri Eğriboyun, 2007; Dursun Külahlı, 2007). The intonation of kaba zurna is very difficult. Due to the wideness of the holes; diesises and flats could easily come out, by blowing technique, sound can be changed in an interval without changing the finger position depending on the reed. It is known that kaba zurna was used in the mehter, karagöz (shadow theatre) and orta oyunu (comedy plays) and court music in the Ottoman period (Ötken, Tamer. http://www.angelfire.com/art2/otken/kullanim.htm). Today usually it is used in Thrace (Edirne-Kırklareli) and mehter, in West Anatolia (Aydın-Muğla) and Central Anatolia (Kırıkkale-Kırşehir). Performing techniques in these regions are all different. Like all zurna family, in Thrace and mehter generally the tonic is defined in accordance with the makam of the melody and the sound comes out in 5-finger position accepted as Dügah (A) pitch; the tonic generally used in Aydın and Muğla is 7-finger also called as kaba düzen and the upper fourth of that is 4-finger. In the region the tonics are defined x is defined as “in x-finger” or “in x” where x is the number of closed holes in the front part of the body and hence it is the number of used fingers for closing these holes, for example “in 3-finger” or “in 3”. Whatever the tonic of the makam is, all melodies are performed as transposed to these pitches (Aydın, 1997:44; 2001a:51; 2005:47; personal interviews: Sadettin Doğan, 1997; Basri Eğriboyun, 1997; Doğan Zentur, 1997; Hasan Akay, 1996; Veli Akay, 1997; Dursun Külahlı, 1997; Dursun Girgin, 1998; Turgut Boncuk, 1990; Hasan Girgin, 2003). However some slow zeybek melodies in local repertoires have their own tonics in the way they have been performed coming from various reasons. For example, in Aydın, performing İki Parmak Zeybeği in 2-finger, Kuruoğlu Zeybeği in 3-finger, Soğukkuyu Zeybeği in 4-finger, Elifoğlu Zeybeği in 6-finger (Personal interviews: Sadettin Doğan, 1997; Basri Eğriboyun, 1997; Doğan Zentur, 1997); and in Muğla performing İki Parmak Zeybeği in 2-finger, Soğukkuyu Zeybeği in 3-finger, İnce Hava in 4-finger, Eski Ferayi in 6-finger (Hasan Akay, personal interview, 1996) have become traditional; however today these tonics have been started to be left, even present zurna players consider ability to transpose melodies in any tonic as expertness and the opposite as insufficiency (Personal interviews: Dursun Külahlı, 1997; Dursun Girgin, 1998). For some of the musicians, these traditional tonics should be used (Personal interviews: Hasan Akay, 1996; Veli Akay, 1997, Turgut Boncuk, 1999). In Thrace and mehter the reed attached to the body horizontally and it is positioned between the lips during performance. In Aydın and Muğla the reed is used vertically and put into mouth till middle part of lüle and played in the space become in mouth. In this playing technique ağızlık is attached on lüle (Ötken, Tamer. http://www.angelfire.com/art2/otken/uflemeteknigi.htm). Although in Aydın and Muğla one or more drone zurnas (dem zurna) are used (homophony); in Thrace and mehter usually drone feature is used in taksims and in all other melodies other zurnas company to soloist zurna or all zurnas play the melody all together (heterophony). In West Anatolia, in some regions except from Aydın and Muğla, for example in İzmir a similar heterophonic technique is used (Personal interviews: Ramazan Onur, 1999; Yılmaz Okyay, 1999; Mehmet Ündev, 1999; Nebi Kayan, 1999). On the other hand vibration which is used often and a very significant technique in the performance of kaba zurna (it should not be confused with tremolo done with fingers) is done by beating tongue to the reed in the mouth space in Aydın and Muğla, in Thrace and mehter it is obtained with shaking the reed upside down which is positioned between the lips with the help of the lips and the chin. About performing techniques of kaba zurna in Thrace and Muğla, Dursun Girgin, Dursun Külahlı and Veli Akay, kaba zurna musicians from Dibekdere, said “Trachians plays zurna like clarinet, we play zurna like zurna. Playing our zurnas requires very strong breath and lung” (Personal interview, 1998). Davul (drum) is used for rhythm in Aydın and Muğla. However, the davuls in Aydın and Muğla have smaller diameters from the other davuls. Their diameter is approximately 40cm. Goat skin is stretched on both sides of a circular frame made of walnut tree. It is hanged over the shoulder of the player with a strap and it is played by beating the skin on the right side with a thick stick (tokmak) made of willow tree and the skin on the left with a thin stick (çubuk) generally made of myrtle tree (Personal interviews: Sadettin Doğan, 1997; Basri Eğriboyun, 1997; Doğan Zentur, 1997; Hasan Akay, 1996; Veli Akay, 1997; Dursun Külahlı, 1997; Dursun Girgin, 1998; Sadettin Girgin, 1997; Faruk Kemcen, 1997; Mehmet Elekçi, 1999; Mustafa Güçlü, 1999). In a kaba zurna band (team) in Aydın and Muğla, while soloist zurna plays the melody, dem zurnas usually blows in the tonic and the davuls handles the rhythm function. Although kaba zurna bands could be consisted of at least 3 people (1 soloist zurna, 1 dem zurna and 1 davul) most band are consisted of 5 people; 1 soloist zurna, 2 dem zurnas and 2 davuls. According to the activity, one can meet more crowded bands (1 soloist zurna, 3 dem zurnas, 4 davuls etc) or more than one band. Thus, they can perform in the activities of having long duration (3-4 days) such as local wedding ceremonies, they can rest between the performances or more than one band can perform at the same time. Today it is seen that the number of people who make their livings by playing kaba zurna is decreasing significantly due to bad economical conditions. In local wedding ceremonies as an alternative to kaba zurna bands, in bridegroom house or in bride house, ince çalgı bands called also as bando which could make music and in last years keyboard performers make music; wedding ceremony owners who do not want music because of mostly their religious ideas make their weddings with Islamic ceremonies. The development of CD technology and media tools have negative function on local musicians. Although musicians have difficulties in finding jobs since the wedding owner can not afford the money for the musicians or can afford less than expected, the main reason of that is increase in the cost of the wedding with the consumption of alcoholic drinks. Also the wedding owners may not call musicians because they do not want alcohol in the wedding due to religious reasons and some wedding owners do not choose kaba zurna bands because they do not consider traditional weddings modern. In addition, for musicians the main income is tips they taken from the audience and the money given to ones dancing called orta parası (arena money) rather than the payment taken from wedding owners. So, it is rumoured that musicians were used to pay to wedding owners for playing and taking arena money in weddings previously (Abdurrahim Karademir, personal interview, 2001). If the zeybek samples collected in West Anatolia examined, one can mention about the existance of a regional repertorie. The repertoire used by local musicians transmitted through generations orally in chain (silsile) consist in master-student relationship (meşk)7. This the reason of why soloist zurna is called as usta (master), and dem zurna as çırak (apprentice) in a kaba zurna band. However for davul performers, a similar nomenclature is not mentioned. As one master should have more than one student, a student could learn traditional repertoire from more than one master. During the transmission the first step is recording the melodic and the rhytmic patterns into memory, and the second step is performing these patterns. At this point üslup (style), which could be described as the performance in one's own style within tradition, comes to the scene. The products in the regional repertoire is orally transmitted and that's why the performers did not need to use a music notation technique since their music has not evolved in a way similar to polyphonic music. In an environment that repertoire is orally transmitted and any music notation is not used, it is obvious that the transmitted products may differ less or more, the variants of the products may occur, even at the same time the different versions could exist. Due to the concept of the originality of the traditional products could not make so much sense, it is not possible to determine which version is the original one. It should not be forgotten that some products could not be transmitted through generations since any music notation is not used, however, it means choice, elimination and novation of the products at the same time. For a musician; it is a significant advantage to have a well-known master. Usually they start to make music at the ages of 7-8. Although zurna or davul is chosen according to present needs and personel choices, usually they start with dem zurna. At that point, the children want to play the instrument that is played in their families and generally it is the instrument that their fathers play. On the other hand, it should not be ignored that a master can only teach the playing of a instrument that he can play (Dursun Külahlı, personal interview, 2007). Due to the need of very strong and continuous breath for playing zurna, the technique called circular breathing is learnt by making students blow into a water filled glass with a pipe. Afterwards, the same technique is applied on dem zurna, some melodies are tried and pass through zurna. However, one can be a master and starts to perform in wedding ceremonies after he completed his military service in other words at the age of 21-22 (Dursun Külahlı, personal interview, 1997). Another point is that in the region the majority of the musicians are relatives and the age of marriage is below the average that is 17-18. During the circular breathing, while the performer blows the instrument, takes breath using his nose at the same time so the circulation is provided. Since the tonics are blown by dem zurnas continuously, circular breathing is very significant for the continuous performance of the music. To be able to do this process continuously, the reed used should be soft. Since the reeds used for soloist zurnas are harder than the ones used for dem zurnas, it is not possible to do circular breathing continuously. That's why in the performance of a soloist zurna there could be rests because of the melody structure. An good zurna performer should have good hearing besides strong breath and fast fingers. So zurna student learn local repertoire from the performances of his master. Also via CDs he has chance to listen the performances other masters that he can not listen lively. In davul performance, a good sense of rhythm beside a good hearing is needed. In the learning step, the melodic and rhytmic patterns in the local repertoire are learnt, in other words, he learns which rhytmic pattern is used in which part of the melody. The more davul player learns, he starts to play the rhytmic patterns with more velveles (rhytmic ornaments); the more zurna performer learns he starts to use melodic ornaments in melodies; in other words, they start to show their individual talents and styles. Davul performer should know melodies as much as zurna performer does, follow the melody on zurna performance, and especially in slow zeybek perfomances he also follows the dancer. For that reason, slow zeybeks are shown as the most difficult melodies to be performed. In slow zeybeks the relation among zurna performer, performer and the dancer provides us a melodic and rhytmic flexibility. Although they are connected to all kinds of cultures; the regional repertoires of Aydın and Muğla are very different from each other except from a few common products and we see how local musicians are keen to protect and keep on their own traitions due to developed media tools. Inevitably, daily-popular melodies take their place in the repertoire parallel to demands of audience. In further part, an attempt to analyze samples transmitted via master- student relationship in terms of melody and rhythm and comment about the differentiation process will be done. 1. Aydın Soğukkuyu Zeybeği. Hüseyin Doğan. Çokran Plak. Bursa-197?. 2. Aydın Soğukkuyu Zeybeği. 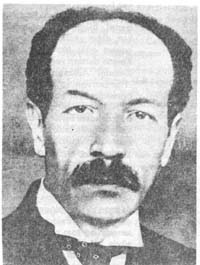 Sadettin Doğan. Ege Video. İzmir-1987. MC B3. 3. Aydın Soğukkuyu Zeybeği. Tibet Var. Servet Yapım. Denizli-200?. CD Track 9. 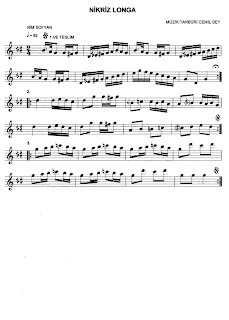 If these examples are analyzed, it is seen that the performers in a chain (silsile) have been performing the same melody by using traditional melodic and rhythmic patterns in their own styles. Furthermore it can be said that the tempo has become slower and the traditional tonic has not been used in recent performances (Table-1). Table 1 – The parameters related to three different performances of Aydın Soğukkuyu Zeybeği. 1. The zeybek dance is strictly defined as a solo dance, but group dance displays are sometimes encountered as well. 2. For further information on this topic see: KARADEMİR, Abdurrahim. Zeybek Dansları. Halkbilimi Araştırmaları 1.Kitap. İstanbul-2003; KARADEMİR, Abdurrahim. Dünden Bugüne Zeybekler ve Oyunları. Efeler. Haz. Ersal YAVİ. Aydın-1991; AVCI, Ali Haydar. Zeybeklik ve Zeybekler Tarihi. İstanbul-2004; AVCI, Ali Haydar. Zeybeklik ve Zeybekler-Bir Başkaldırı Geleneğinin Toplumsal ve Kültürel Boyutları. Hückelhoven-2001; YETKİN, Sabri. Ege'de Eşkıyalar. İstanbul-1996; ÖZTÜRK, Okan Murat. Zeybek Kültürü ve Müziği. İstanbul-2006; AKDOĞU, Onur. Bir Başkaldırı Öyküsü – Zeybekler – Tarihi-Ezgileri-Dansları. İzmir-2004; KELEŞ, Tuncay. Anadolu Kültüründe Zeybekler. Gaziantep-1998; YAVUZ, Behiç Galip. Zeybekler – Tarihçeleri, Özellikleri, Türküleri ve Ödemiş Zeybekleri. İzmir-2006; YAVİ, Ersal. Efeler – Kökenleri-Eylemleri-Töreleri-Dansları-Giysileri. Aydın-1991. 3. For further information on this topic see ÖZTÜRK, Okan Murat. Zeybek Kültürü ve Müziği. İstanbul-2006. 4. For further information on this topic see AKDOĞU, Onur. Bir Başkaldırı Öyküsü – Zeybekler – Tarihi-Ezgileri-Dansları. İzmir-2004. Tanburî Cemil Bey was the fourth and youngest son of Zihni Yâr Hanım, a slave and wet-nurse to Hayriye Hanım, the daughter of Sultan Mahmut II and Adile Sultan. Zihni Yâr Hanım married the assistant prefect of Shkodra, Mehmet Tevfik Bey, and Cemil Bey was born in Constantinople on May 9, 1871. Although he lost his father at the age of three, he completed his primary school education with the help of his uncle, Refik Bey. While at junior school, he learned French under Messrs Grégoire and Maurice. He began to play the saz at the age of ten, later taking up the violin and kanun, and later still the tanbur, which was eventually to win his heart. He learned makam theory from his elder brother, Ahmet Bey, and Western musical theory and the Hamparsum Limonciyan system from the violinist, Aleksan Efendi. A child prodigy at the age of twelve, by the age of eighteen he was already renowned as an instrumentalist of unrivalled talent. Profoundly knowledgeable of Constantinopolitan music, he was to play a decisive role in its development, and was also to devise and apply new playing methods to a wide range of musical instruments, particularly the lyra and the tanbur. He employed his knowledge of both traditional and western music to develop tanbur technique, and thus opened up new avenues for Turkish musical instruments as a whole. During a year at the School of Political Sciences, he met Aziz Mahmut Bey, a tanbur player whose father, Ali Efendi, agreed to tutor him in the same instrument. The first time Ali Efendi, a romantic composer, heard Cemil Bey play, he realized he was in the presence of a genius. When he declared that Cemil Bey played the tanbur even better than he did, word of his charismatic student’s abilities spread like wildfire through Constantinople’s musical circles. Through Ali Efendi, Cemil Bey came into contact with romantic music, under whose influence he was to remain for the rest of his life. At the same time, he acquired an outstanding technique, especially in the use of the plectrum, with a view to playing in the classical style, and was second to none at playing with the plectrum in the left hand. By playing more quietly and making less frequent use of the plectrum, he exploited the full potential of the classical tanbur, taking the instrument a stage further in its development. He also developed a new and more impressive method of playing during this period, thus establishing a new school. 17 At the age of twenty, he demonstrated his talent by playing the lyra, the lavta and the violin. It was Cemil Bey, too, who introduced the use of the bow to tanbur-playing, thereby creating what was in effect a new instrument: the yali tanbur. By 1900, his fa me had spread throughout the Ottoman Empire. When he appeared before Sultan Abdülhamit II with his tanbur and lyra, he was rewarded with 300 gold sovereigns and the post of General Secretary in the Ministry of Foreign Affairs. A versatile composer, Cemil Bey wrote peşrevs, instrumental semâ‘îs, longas, syrta, zeybeks, and art songs. Though he composed his instrumental works within the ambits of classical music, his conception of the capabilities of his instruments was such that these works display a new and original approach. His musical pieces appear to be divinely inspired in their innovativeness and uniqueness of form, although his songs were to prove somewhat less successful. Of all the Turkish instrumental works ever written in the Şed-i ‘Arabân makam, Cemil Bey’s saz semai’s may be regarded as the best. His peşrevs and semâ‘îs has been a constant source of discussion since they were composed—indeed, now more than ever—and are frequently played both in Turkey and abroad, where they are broadcast by radio stations in Tunis, Baghdad, Cairo, Damascus and Beirut. 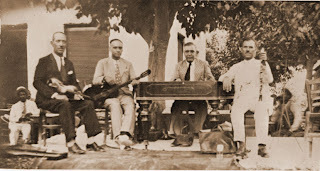 The wide distribution of his music was assisted by the fact that it was recorded and distributed throughout the Mediterranean area on 78 rpm records, on which Cemil Bey played both taksims and his own compositions. Most of the recordings were made between 1910 and 1914 by the Blumenthal brothers on the Orfeon label. 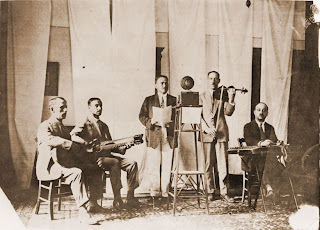 On these recordings, Cemil Bey worked with some of the most famous musicians of his time, including Nevres Bey (oud), Ibrahim Efendi (clarinet), Cemal Bey (piano) and Bülbül Salih (violin), a student of the tanbur player, Kadı Fuat. His Guide to Music, which contains elements of Turkish musical theory, was published in 1901. 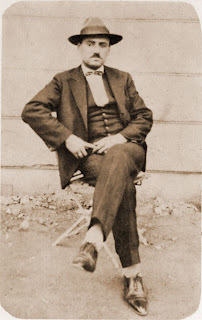 Cemil Bey married Şerife Saide Hanım in the same year, 1901, but the marriage was to prove a dif produced one son, Mesud Cemil, who was later to follow in his father’s footsteps and become a famous musician. In addition to playing the tanbur and the cello, he also became an orchestral conductor. Cemil Bey retired into himself in the last few years of his life, and sank into melancholy. He contracted tuberculosis, eventually dying from the disease in 1916 at the age of fortyfive in Constantinople. Between 1600 and 1750 Ottoman Turkish music developed the genres and forms that were directly antecedent to the surviving Turkish art music, yet its relationship to this modern music is shrouded in myth. This work is the first attempt to bring together contemporaneous notations, musical treatises, biographics, literary sources, travellers' accounts and iconography to present a synthetic picture of the early modern phrase of Turkish art music. The taksim (Arabic taqsim) is often referred to in the musicological literature of the Middle East as an instrumental “improvisation” (Nettle 1973:11). The taksim has been known as a major musical genre during the nineteenth and twentieth centuries in most of the countries of the Middle East which had been incorporated within the Ottoman Empire, especially Turkey, Syria/Palestine and Egypt. It is also significant in Tunisia, but less so in the rest of North Africa. In Iraq it became prominent only after the end of the Second World War. Earlier the taksim ahd probably been known only to and practiced by a small Ottomanized Iraqi elite. 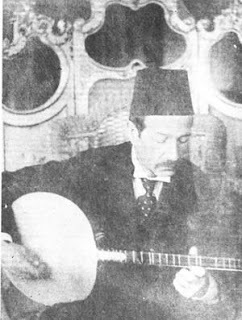 In other Arab countries, such as Morocco and Yemen, the taksim is largely a post World War II adaptation of Egyptian musical practice. 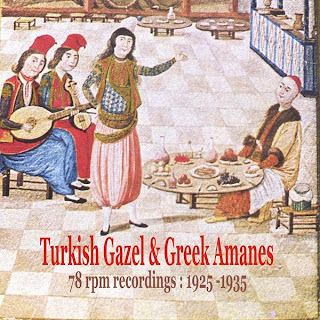 In the European part of the Ottoman Empire, the taksim has also left important vestiges in the music of Greece, Bulgaria, and Macedona, and to a lesser extent Romania (Garfias 1981). Its name, and a few of its musical characteristics were known even within the instrument klezmer repertoire of East European Jews (Beregovski/Slobin 1982: 539; Feldman 1993a). The fact that current Arabian and Turkish performance practices are not identical, and were even more differentiated early in the twentieth century when the first sound recordings of taksims were made in Turkey, Syria and Egypt, has not prevented Turkish, Syrian, Lebanese and Egyptian musicians from employing the word taksim to refer to all the local sub-styles of the broader taksim genre. In contemporary Turkey the taksim is essentially urban and shows no close affinity with rural genres. In Syria and Egypt on the other hand, the taksim seems rather more connected with non-metrical vocal genres such as the layali and mawwal which also have rural forms. Perhaps the broad diffusion of the taksim and related genres in the Levan has been the cause of its rather extensive treatment in studies of modern Arabian music. On the other hand, Turkish musicologists, such as Yekta, Ezgi, Arel or Oransay barely mention the taksim, while it is treated somewhat more extensively by Signel. At times the entire art music or maqam system is discussed as though it were inseperable from or even equivalent to the taksim, e.g. by Touma. More recently Racy (1991) had delineated a broad generic continuum in which the taksim is one vehicle for the expression of tarab (musical rapture or ecstasy) in what he refers to as “the modern tarab style of the east-Mediterranean world and Egypt, a style that emphasizes live musical performances, gives prominence to instantaneous modal creations, and treats music as an ecstatic experience” (1991:9). Excerpt from JSTOR article by Walter Feldman. Comments: A fine introduction, to old recordings, and artists, like Sukru Tunar, Haydar Tatliyay. The minus is there is no information, on the artists and the music. 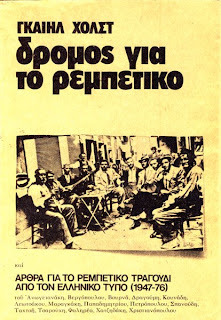 Description: One of the first books written on the rebetiko, that has all the basic knowledge for anyone wanting to learn about this music. Comments: Turkish gazel and greek amanes are two sister forms of music in our common heritage, also one of the great traditions of middle east region. Turkish classical music / Ottoman classical music (Klasik Türk Musikisi, Sanat Musikisi, Saray Musikisi) developed in palaces, mosques, and Mevlevi lodges of the Ottoman Empire. 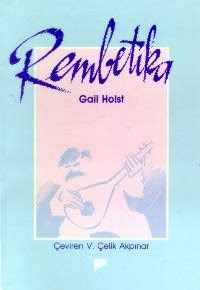 Above all a vocal music, Classical Turkish Music traditionally accompanies a solo singer with a small instrumental ensemble. In recent times instruments might include tanbur (lute), ney (flute), kemençe (fiddle), keman (Western violin), kanun (zither), oud or other instruments. Sometimes described as monophonic music, the variety of ornamentation and variation in the ensemble requires the more accurate term heterophonic. As the Empire grew, musics of conquered peoples of the Balkans and the Mediterranean were incorporated into an increasingly diverse Ottoman music. The Ottoman Empire was a multi-ethnic state, and cultural influences, including music, were shared by groups including the Turks, Armenians, Greeks, Kurds, Arabs, Persians, Assyrians and Jews. With the beginning of the decline of the empire in the early 19th century, one branch gradually evolved from serious artistic music to "urban entertainment music". But the essence of classical Turkish music— a refined aesthetic, a vast repertoire, a sophisticated makam system of melodic modes, a variety of usul rhythmic modes, a rich body of Ottoman poetry—survived throughout the 19th and 20th centuries and continues in the 21st century. Though similar to today's classical Arab music, classical Turkish music has a broader repertoire, utilizes a wider range of makams and usuls, and enjoys a strong following of audiences, performers, and students. Three of the best known composers of Turkish classical music are Buhurizade Itri, Dede Efendi, and Haci Arif Bey. Even though the Republic of Turkey has a considerably less multiethnic character than the Ottoman Empire, important performers and composers like Yorgo Bacanos, Aleko Bacanos, Tatyos Efendi and udi Hrant Kenkulian came from minorities, while favourite Turkish composers and instrumentalists include Sadettin Kaynak, Selahattin Pinar, Münir Nureddin Selçuk, Tanburi Cemil Bey (tanbur), Şükrü Tunar (klarnet). Modern Turkish singers of neo-classical music include Münir Nureddin Selçuk, Müzeyyen Senar, Zeki Müren, Bülent Ersoy and Emel Sayın. Safiye Ayla ranks as one of the great secular classical singers of the early 20th century. In Turkish classical music, Mevlevi music, and some Mosque music, a system of melody types called makam (pl. 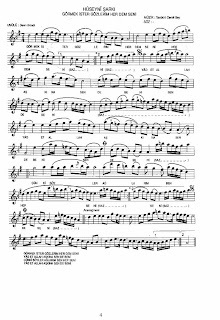 makamlar) provides a complex set of rules for composing. Each makam specifies a unique intervalic structure and melodic development. Whether a fixed composition (beste, şarkı, peşrev, âyin, etc.) or a spontaneous composition (gazel, taksim, Kuran-ı Kerim, Mevlit, etc. ), all attempt to follow the melody type.Turkish makam's closest relatives include maqam in Arab music and echos in Byzantine music. The rhythmic counterpart of makam in Turkish music is usul. Intended to introduce, prepare the way or warm up for the makam, these are played with a single instrument, within the makam, yet not linked to any rhythmic pattern, and are either free-form or improvised. Works composed within the same melodic structure (makam) , or mode, set out and played in a particular order. In a genuine fasıl, there will be works for voice and for saz. The basis of the fasıl is that the works should have the same melodic structure, and they are then ordered according to shape or form. There must generally be two ‘Beste’ (poetic forms) and five ‘Semai’ composed to count as a complete fasıl. These are accompanied by lyrics. Instrumental pieces composed for dancing. As the Greek population in Istanbul, Izmir and parts of Asia Minor constituted a significant portion of the population of the Empire until the early 20th century and as the Greek community, in particular, consisted of many prominent singers, composers and instrumentalists, Ottoman music emerged as a sharing process between the Turks and the Greeks, along with the other minorities as well. It is a synthesis that reveals a mixture of cultural and historical riches. Therefore, it is only natural that both Greek and Turkish immigrants retained and carried this common musical heritage with them during the immigrations starting from the late 19th century until the forced population exchange in 1923 and that we can now find some pieces of Turkish Classical Music in Greek Music (particularly in Rebetika & Smyrneika) with Greek lyrics as well. 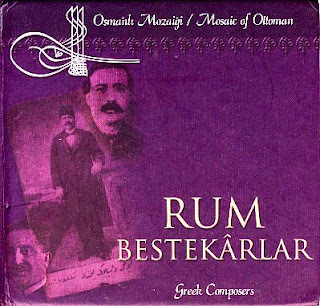 Description: A collection of songs and tunes of Greek composers from the Ottoman era. 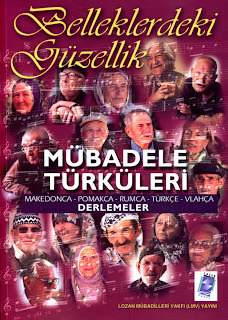 "Belleklerdeki Güzellik - Mübadele Türküleri"
Description: This book is the outcome of a project aiming at protecting the traditional language and culture of the Lausanne Treaty Emigrants, raising an awareness of cultural diversity in Turkey and encouraging cultural tolerance. To accomplish this, LMV (Lozan Mubadilleri Vakfı) project coordinators, along with BGST (Boğaziçi Gösteri Sanatları Topluluğu) - Kardeş Türküler, have interviewed 90 emigrants and children of emigrants in parts of Turkey for 8 months and compiled the traditional songs in their memories. The songs appear in Greek, Turkish, Pomaki, Macedonian and Vlach languages. The book provides musical scores to some songs and it also includes a CD in which the interviewees sing some of the songs. Hüseyni Peşrev is the best known piece of Lavtacı Andon (Andon Efendi, Batrik Kriazis) whose date of born is unknown. According to some sources he died in 1915, some claim in 1925 in Istanbul. He was the brother of Lavtacı Hristo. He played oud and lute (lavta). 'Peşrev' is a form in traditional instrumental turkish music. By word it means the thing which goes first. Musical performances like 'fasıl' begin with a peşrev. 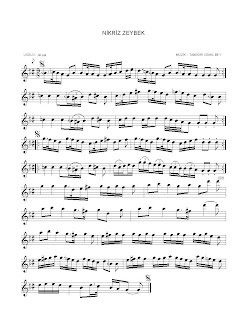 Even though not exactly the same, it is like 'ouverture' in western music. 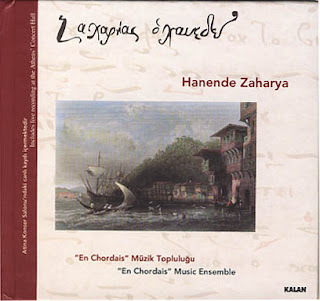 Description: Classical Near Eastern music from the 18th century Constantinople by the Greek composer Hanende Zaharya. 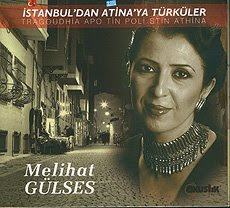 Melihat Gülses sings, in Turkish and Greek, the traditional songs from İstanbul. 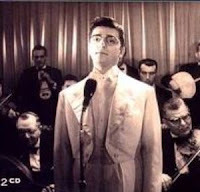 Zeki Müren, a prominent Turkish singer, composer and actor, was famous for his compelling voice and precise articulation in his singing of both established Turkish classical music and contemporary songs. Müren grew up in Bursa in western Turkey in 1931. From 1950 to 1953 he studied decorative arts in Istanbul at the Fine Arts Academy while launching his musical career. “Bir Muhabbet Kusu”, his first single was a sold-out. He was given “the Golden Record” award for another song called “Manolya”. His first musical film “Beklenen Sarki” received the success it deserved. Zeki Muren made 18 consecutive films with all great success. He always proved that he could be and was successfull in all branches of art including poetry, design, composing. When he accepted to go on stage in 1954 he knew he had to be special and in appearance in paralel to his skills. Thanks to his earlier education at the Fine Arts Academy he introduced many novelties on stage set-up and instruments used. His next step was to wear new style clothes on stage entirely of his own fashion.One of his novelties was to apply a “T” shape stage for the first time in Turkey so he could mingle with his beloved ones. His manner of adressing people and his perfect pronunciation of the Turkish language was superb. That was the reason why he was unparallelled in maintaining dialogues with his audience on stage. In 1955 he appeared at the Küçük Çiftlik Gazinosu, one of the three best-known night clubs of Istanbul in those years, where he was accompanied by such famous instrumentalists of Turkey as Selahattin Pınar, Yorgo Bacanos, Sadi Işılay, Hakkı Derman, Şükrü Tunar, Feyzi Aslangil, Kadri Şençalar, İsmail Şençalar and Necdet Gezen. This series of night club concerts created great popular interest. Müren continued his concerts for many years. He was Turkey's most regular and frequent concert giver. He gave thousands of concerts, and actually the number of his concerts has remained an unreachable record. There have been times during which he gave one hundred concerts a year. In his forty-five-year professional career Müren composed more than one hundred songs and made more than two hundred recordings. “Zehretme hayatı bana cânânım” (acemkurdi) was his first song, which he composed at the age of 17. “Şimdi uzaklardasın gönül hicranla doldu” (suzinâk), “Manolyam” (kürdilihicazkâr), “Bir demet yasemen” (nihavend), “Gözlerinin içine başka hayal girmesin” (nihavend) are some of his most popular songs. He was celebrated as the "Sun" of classical Turkish music and was affectionately called "Pasha". For many years he reigned as "Artist of the Year". 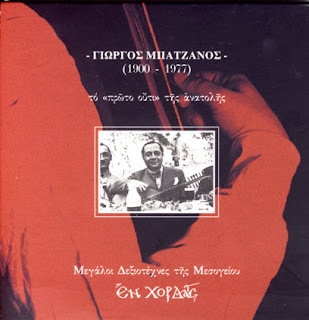 Many of Müren's records were also published in Greece, where he also enjoyed popularity, along with the U.S., Germany, and several other countries during the 1960s and 1970s. Then, Zeki Muren started to fight health problems gradually. He preferred to lead a solitary life in Bodrum but that did not help to keep him out of eye in the press.In 1996 he passed away of a heart-attack . Zeki Müren Art Museum, established in Bodrum, where Müren used to live, has been visited by more than 200 thousand people so far. Sezen Aksu is the undisputed queen of contemporary Turkish music. She has shown considerable bravery in linking traditional Turkish styles with western music and in tackling subjects that the authorities would prefer to have overlooked. In the 1970s she became the first Turkish woman to write and publicly perform her own songs. Since then she has built up a massive following, singing about everything from environmental issues to the ongoing civil war with the Kurds to painful emotional truths. Sezen Aksu was born and educated in Izmir on the romantic and nostalgic Aegean coast of Anatolia. During her school years, she took lessons in painting, music and theatre. Whilst studying at the Aegean University she released her first composition, including lyrics. This first song, 'Kaybolan Yıllar' (Lost Years), became a hit that touched thousands of people's hearts and marked the beginning of her professional career. Her background and upbringing, surrounded by prominent specialists and teachers in Turkish Music, became vital in her work. She has always composed songs that appeal to everyone and that are influenced and inspired by the rich and colourful Anatolian cultures of her childhood. Literature, cinema, poetry and theatre remain close to her heart. Even in her early lyrics, she promised to be an explorer of vast horizons and abysses of emotions she were to lean over. On the burning depth of her voice, she made us feel since the beginning, that a long journey awaited us. Beyond her lyrics, it was her voice that had the intensity. She was looking into our eyes with a genuine self-confidence that we were not familiar in the pop scene. She was the little warrior who did not want to be disturbed as she sang her songs. This young girl had come with a halo over her head. She always knew how to refuse what she did not want. Perhaps, we first fell in love with her uncompromising sincerity. She was not like any other person we knew. Sezen is the singer, performer, lyricist and composer of over 600 of Turkey's most popular and frequently performed songs. She also composes for many other artists. She has subsequently become a legend in Turkey. Her modest personality and unlimited generosity in sharing her memories, longings, heartbreaks, pain, love and happiness with her audiences have made her the 'Sweetheart' and 'Little Sparrow' of every household in Turkey. Sezen Aksu’s beautiful music accompanied by her powerful, warm, touching voice have practically been the soundtrack of many Turkish people’s lives for more than 30 years. 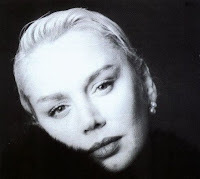 Having sold over 40 million albums throughout her career, Aksu is the ultimate figure who shaped Turkish pop music.While many of her contemporaries in pop music have their names remembered nostalgically in family conversations, Sezen Aksu's has become a legend, growing bigger as we speak. Her ballads about unrequited love and broken hearts made her a household name in 1970s and 1980s. Her live concerts in Turkey and across Europe are sell out performances and she remains in every sense an entertainer, one that ranks amongst the great names of modern music. Few artists have Sezen Aksu's talent for composing such diverse music with such Universal appeal. The complex, colourful and rhythmic melodies of Turkey blend seamlessly with the modern beats of popular music yet skilfully neither is compromised. An artist who has the ability to write chart topping hits such as 'Kiss Kiss' and the genius to create poetry in songs that will be sung forever, familiar tunes rendered new and more profound under her mastery. In her songs love is a fiery riot; affection is a boundless generosity. Sezen keeps writing the poetry of entrancement. The unique color of her voice tempts the listener to great loves, great sacrifices and great uprisings. The sadness of a vulnerable little girl and the defiance of a woman resisting confinement, blend in her voice. Sometimes she is the romantic poet of the streets, sometimes the naughty girl of the neighborhood. It is as if she reminds us that freedom is possible. She speaks from a world where baring one's self until he/she becomes an open sore, is a virtue. When we listen to her, we realize she has felt the same; she has been through the same path of emotions with each one of us. The vigor of her emotions that at times embarrasses us, her stubborn pursuit of a 'better and better' musical sentence and beyond all else, her loyalty to her self being in all circumstances along the way, make her unique. 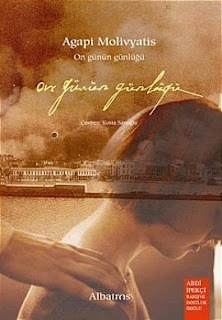 Poems To Be consists of 197 lyrics selected from over 400 pieces Turkish pop diva Sezen Aksu wrote between 1975-2006. These songs have claimed their place in the lives and memories of three or four consecutive generations in Turkey. The aim in editing them in a volume is to bring out the poetry in these lyrics. Sezen Aksu’s songs have always flirted with poetry, often they are poetic, and sometimes they are downright poems. Her lyrics represent the expanse of Turkey to full extent, in them we encounter a unique blend of rich diversity, including motifs from both the long bygone and contemporary urban tunes to those of far Anatolian corners. Poems To Be is a book about love, our passions, break-ups, submissions, disappointments and newfound hopes. It shows us how fragile we are as humans, but also how we have the power to tend to our wounds and live on. An abridged version of the book is being prepared for publication in other languages.